Nathaniel Simpson (SIMPSON) launches his first UK EP entitled, ‘Steady’ – released 24th January 2015 simultaneously introducing ‘Soulternative Pop’ a new music genre within Great Britain; this charismatic singer, songwriter and musician perfectly embodies SIMPSON’s character with fresh energy and a voice smoother than silk. 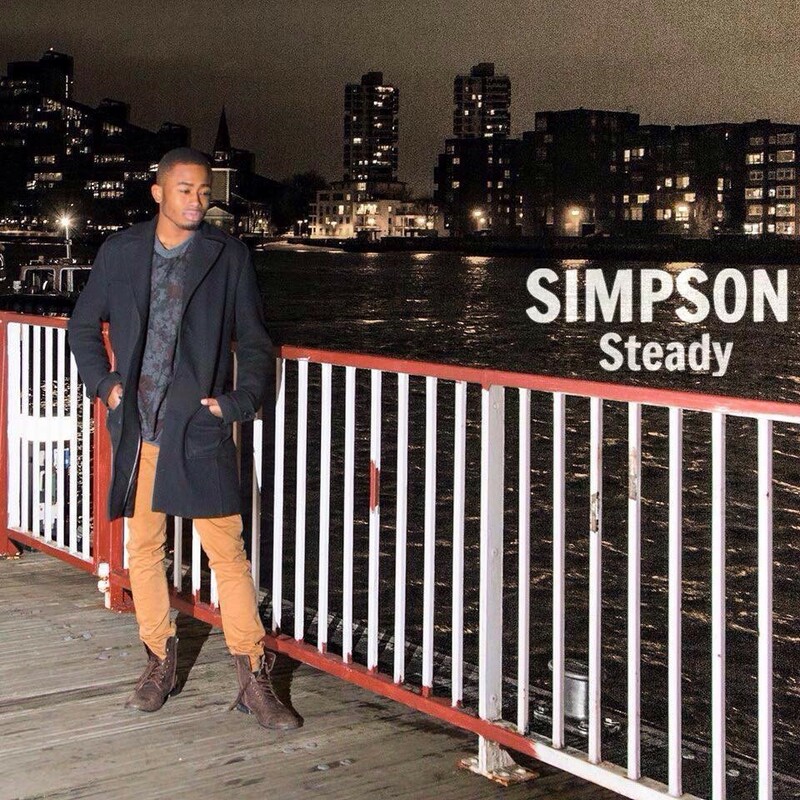 SIMPSON describes his sound as Soulternative Pop, a fusion of Soul, Jazz, Blues, R&B, Alternative and Funk. The music on the new EP, Steady, years in the making with every song created on his piano, developed on the road with his musicians and friends. He is all set to captivate audiences and take them on an exciting dynamic journey of real life stories, from falling in love to heartbreak. SIMPSON’s musical journey started when he was just a small child and fell in love with the sweet melodic sounds played in his family home, such as Bob Marley, the Temptations, Stevie Wonder and Sam Cooke with modern day heroes, Prince, Pharrell and Amy Winehouse. Together with singing in church and playing piano made him fall in love with heartfelt music that touches your soul. His professional career and training started in his early teens with a foundation deeply rooted in jazz music. Initially performing at community and charity events, weddings, SIMPSON soon grew his repertoire and performed in some of the UK’s, specifically London’s top late night venues, the London Jazz Festival, the Natural History Museum, the Business Design Centre and one of his proudest moments for HRH the Prince of Wales. Following the fantastic response to ‘Steady’ look out for the new single ‘Stolen’ on the EP.